five + 7 = Required Please enter the correct value. China has just made another strike against the U.S. dollar with a new "world bank" – the Asian Infrastructure Investment Bank (AIIB). By now 57 countries have been approved to join forces in this $50 billion global economic "superpower" cooperative – and the United States is not one of them. India, Saudi Arabia, Iran, Britain, and Germany are among the founding members in China's AIIB. Washington officials have declined to join. They say this bank will rival the International Monetary Fund, the World Bank, and the Asian Development Bank – and fear Beijing will use this new bank to strengthen its economic power. China's AIIB is just the latest in a string of moves from the Red Dragon to promote its currency, the yuan, and remove the U.S. dollar as the world's reserve currency. 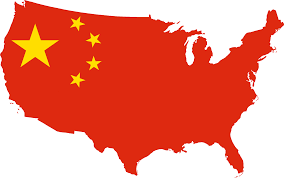 "China is actually putting yuan bilateral trade agreements in place all over the world," said Rickards. "Once there's enough trade and enough volume in a certain currency, it can become a reserve currency. These are all straws in the wind, leading to the collapse of the dollar as the global reserve currency." In May 2014, China signed a 30-year $400 billion energy alliance with Russia. The BBC wrote at the time, "…this deal could symbolize an important moment of transition – when both in economic and geo-political terms, Russia's gaze begins to look more towards the East than towards the West." In November 2014, China and Russia deepened their economic ties with a second natural gas deal valued at $284 billion. Also in November 2014, China signed a deal with Australia that eased restrictions on Chinese investment in Australia's plentiful resource sector. The deal removes tariffs on 85% of Australian exports to China. Australia called the deal the "best ever between Beijing and a Western country…"
Looking forward to reading this newsletter.